What medications* do we keep in our preps? We store: 1) over-the-counter (OTC) drugs: ibuprofen (Motrin), acetaminophen (Tylenol), aspirin, diphenhydramine (Benadryl), pseudoephedrine (Sudafed), loratadine (Claritin), guaifenesin (Mucinex), and 2) antibiotics (that I recently posted about): amoxicillin, cephalexin, ciprofloxacin, doxycycline, metronidazole. How long can they be stored? They have expiration dates, does that mean they go bad? 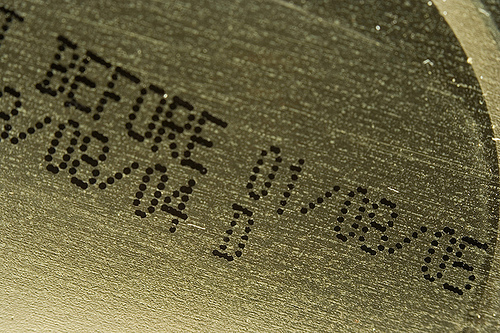 Let’s start with what do drug expiration dates mean? Required since 1979, the expiration date is the last date that the pharmaceutical company will guarantee 100% potency (some sources state at least 90% potency). So then we ask, how long does it take a drug to lose it’s beneficial effects? That is the question that the Department of Defense (DOD) asked the Food and Drug Administration (FDA) in 1985 (the military had over a billion dollars worth of medication stored). So in response, in 1986, the DOD and the FDA began the Shelf Life Extension Program (SLEP). The SLEP program is documented in the Wall Street Journal article, Many Medicines Are Potent Years Past Expiration Dates, by Laurie P. Cohen, March 28, 2000. The military submitted, and the FDA has evaluated, over 100 drugs – prescription and OTC. The results showed that about 90% of them were safe and effective well past their expiration dates, some for 10 years or longer. Joel Davis, a former FDA expiration-date compliance chief, said that with a handful of exceptions – notably nitroglycerin, insulin and some liquid antibiotics – most expired drugs are probably effective. In light of these results, a former [FDA] director of the testing program, Francis Flaherty, says he has concluded that expiration dates put on by manufacturers typically have no bearing on whether a drug is usable for longer. Mr. Flaherty notes that a drug maker is required to prove only that a drug is still good on whatever expiration date the company chooses to set. The expiration date doesn’t mean, or even suggest, that the drug will stop being effective after that, nor that it will become harmful. The Harvard Medical School Family Health Guide, in Drug Expiration Dates – Do They Mean Anything?, notes that, with rare exceptions, “it’s true the effectiveness of a drug may decrease over time, but much of the original potency still remains even a decade after the expiration date”. Where and how medications are stored is an important factor in minimizing their degradation. Storing in a cool, dry, dark place will maximize their lifespan; when possible keep sealed in their original container until ready to use. Medications stored in bathroom cabinets or shelves could have effectiveness significantly reduced. Be sure to discard any pills that become discolored, turn powdery, or smell overly strong; any liquids that appear cloudy or filmy; or any tubes of cream that are hardened or cracked. * The terms medications and drugs (referring to legal drugs) are used interchangeably. 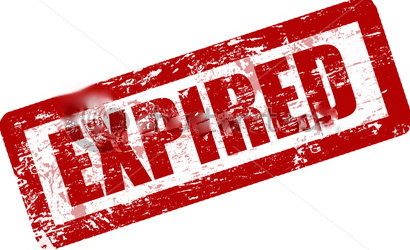 There has long been a belief that the antibiotic tetracycline becomes toxic once it has past it’s expiration date. The case was thoroughly evaluated in the 1978 article, Tetracycline in a Renal Insufficiency: Resolution of a Therapeutic Dilemma, it states, “”Old” and degraded tetracyclines have previously been demonstrated to have direct toxic effects on the renal proximal tubule, but because of changes in manufacturing techniques this is no longer a real problem.” It also states, “It has often been stated that the tetracyclines should be avoided in patients with severe renal disease, but, as we shall see, doxycycline represents an important exception to the rule”. In Cohen’s article on the Shelf Life Extension Program, Many Medicines Are Potent Years Past Expiration Dates, it goes on to state, “Only one report known to the medical community linked an old drug to human toxicity. A 1963 Journal of the American Medical Association article said degraded tetracycline caused kidney damage. Even this study, though, has been challenged by other scientists. Mr. Flaherty says the Shelf Life program encountered no toxicity with tetracycline”. Dr. Bones and Nurse Amy, from The Doom and Bloom Show, when interviewed on TSP, clearly state that tetracycline past it’s expiration date is safe (episode 736, beginning at 43:45). Nurse Amy concludes the topic with “. . . if they can just get that in their heads that tetracycline isn’t going to kill you when it’s past expiration”. Medical evidence supports that tetracycline, past it’s expiration date–especially in the form of doxycycline–is as safe as any other expired antibiotic.